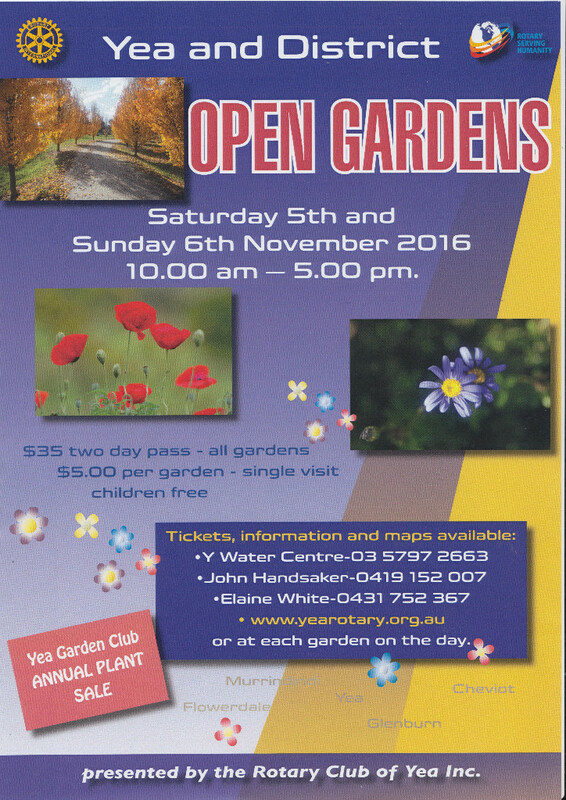 ROSE RAMBLER 27.10.2016 .. Hello dear rose friends as Gra and I are spending a week away from the Rose Farm but Tova is very capably manning the fort and will be here when you call in. WWW.ROSESALESONLINE.COM.AU orders will continue to be posted this week so order with confidence! Hello dear rose friends… Already passed the middle days of Spring and things starting to ‘hot up’ … a taste of the fast advancing Summer and oh, the joy of the roses blooming and the magnificent fragrance makes all the dipping and dunging so worthwhile! No time to rest on your laurels though … plenty to do in the rose garden now. Ever noticed all the perfumes we could buy – there are dozens. 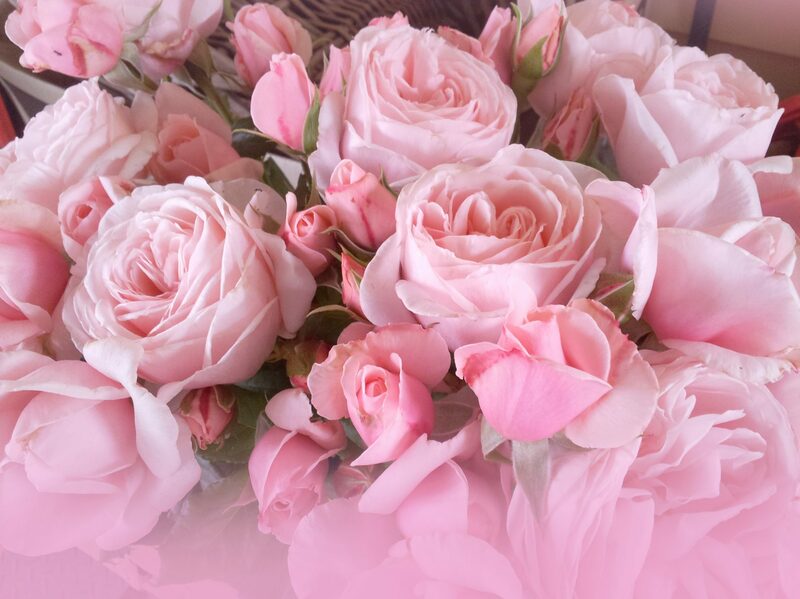 The perfume in roses is natural and the best time to smell a rose is when the sun is shining on the open flower. What ENERGY attracting the bees to create the beginning of another rose – the seeds! The rose fragrance also gives us lucky humans a lift. Try smelling some coffee first, then smell the rose; what a delight for our spirit … it takes us to a higher place. By the way, what did Cinderella say when her photos didn’t show up? POTTING ROSES: Potted roses can still be planted or re-potted from now on and throughout the flowering season. If potting, always use a good quality, certified potting mix with added nutrients and water saving granules. 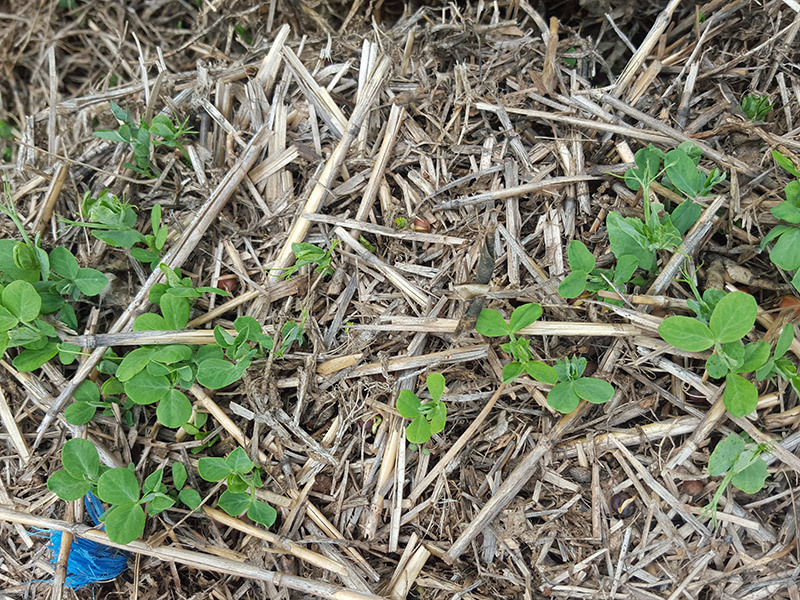 Mulch the top of the pots with compost about 50mm thick and then place milled lucerne or some straw over the compost. Place the pot on a tray filled with stones and water daily, use Natrakelp or Eco-cweed at least fortnightly. ROSE GARDENERS GLOVES: How good are your garden gloves? It is so important to use good quality, washable gloves that have material on the back that breathes but also protects your knuckles while moving around the thorny roses as you prune! Buy two pair so that you can change and wash them regularly – great Christmas present for the avid rose gardener and the one’s we stock here at the Rose Farm come in four different sizes – we’ve used them for years and highly recommend them!! 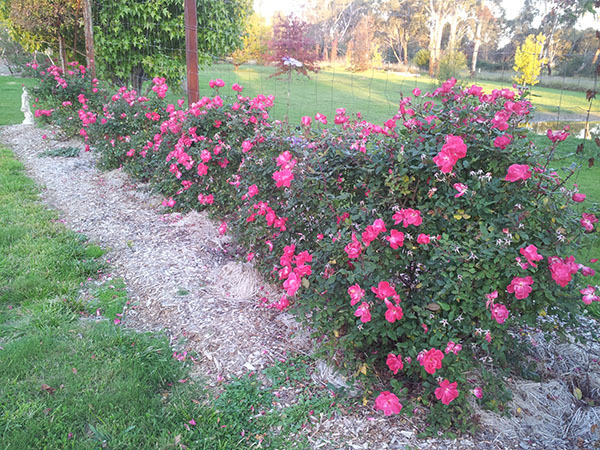 MULCH IS CRITICAL: It is important to mulch the rose garden NOW to save moisture from Winter/Spring rains – plants are 96% water! 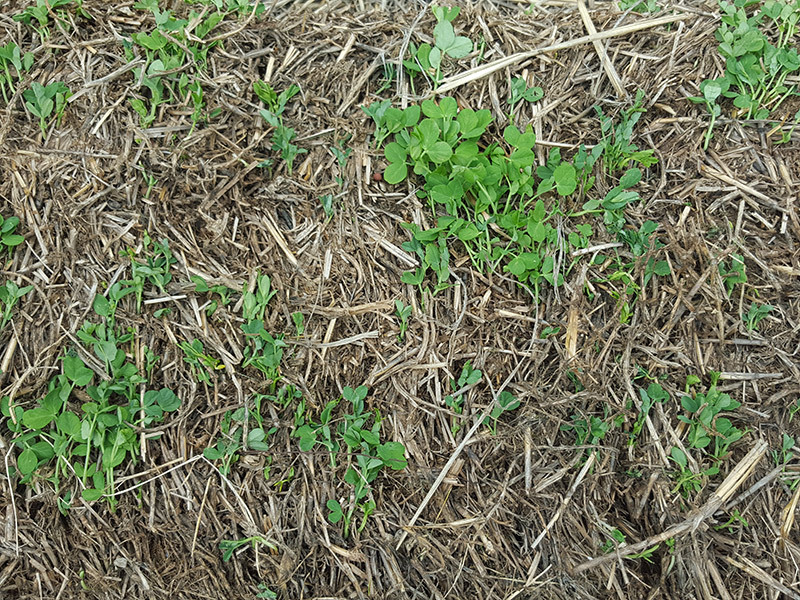 Use Lucerne, straw, leaves and soaked newspaper at the edges of the garden beds will keep weeds away and be home to good soil critters and worms. Place the mulch on damp soil or water before and after mulching. 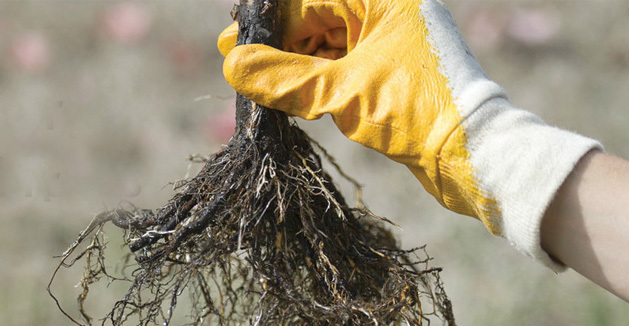 HELP THE ENVIRONMENT… MULCH THE SOIL! I’m told that 40% of grass is carbon so lawn clippings in light layers must be useful as a mulch too! Enjoy the beautiful perfume of the roses while you wonder about the answer to this … what has a thumb and four fingers but is not alive … I’ll tell you next week …. Last week I was kneeling down while mulching the garden and got bitten – probably one of those big ants, maybe a spider …? Gentle reminder to me and I wish to pass on to you all that the burning welt on my leg lasted for over a week and I will now use one of the kneeling frames. No I won’t, I’m not old enough to justify using a kneeling frame for it’s intended purpose ie. assist me in getting up from a kneeling position .. giggle .. so I’ll just use a piece of cardboard or layer of newspaper. 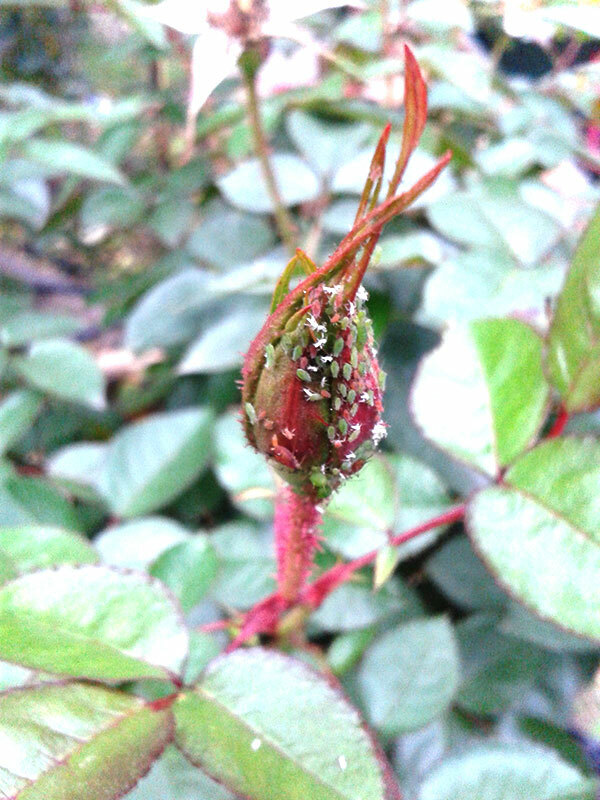 I WILL NOT kneel and crawl around the garden unprotected and I urge you all to take care of the same insects lurking in your rose garden! It would be most interesting to know if this tape, when attached to roses where there is possibly some night light may deter possums … might be worth a try for those gardeners who despair at the destruction of the rose garden due to possums – let’s keep this conversation alive. Q. Why can’t a ladybird ever hide? A. Because it is always spotted! 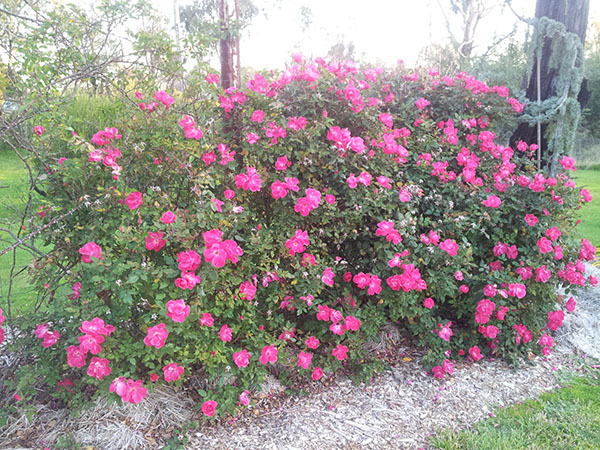 You’ll be thinking about which horse might be worth backing in the Melbourne Cup but I would highly recommend visiting FLEMINGTON RACECOURSE just to be up close and personal with the magnificent rose gardens there! If you get a chance, treat yourself to a spectacular day at the races during these weeks of horse racing and I hope you back a winner! Q. Why couldn’t the pony talk? A. ‘cause he was a little horse. Grasses are the essence of Nature! Researchers in Sydney found endorphins given off by lawn mowing keep us feeling good about ourselves! Aaah, the smell of a freshly cut lawn – you know the smell and feeling – no research necessary because we already know how good it feels and looks!!! There’s more to it though – grasses are essential because, when they break-down in pastures and gardens, their dry matter and minerals wash into waterways and then into the ocean which then turns into a food source for fish. Our Oceans are the richest source of nutrients on our planet! Hence, the seaweed solution we use on our plants, which comes from the Ocean, is vital for balanced plant nutrition and remember, regular applications of seaweed solution will afford your roses up to 5 degrees heat tolerance so liberally pour over the foliage of roses at least monthly to ensure bushes retain lots of healthy foliage!!! Freshen water every couple of days – trim stems each time. Diana devoted a chapter in her book ALL ABOUT ROSES to CUTTING ROSES FOR A VASE – there is an extensive lot of special hints and tips which are useful if you love to have vases of roses in your home during the flowering season … enjoy the beauty of your garden, inside too! 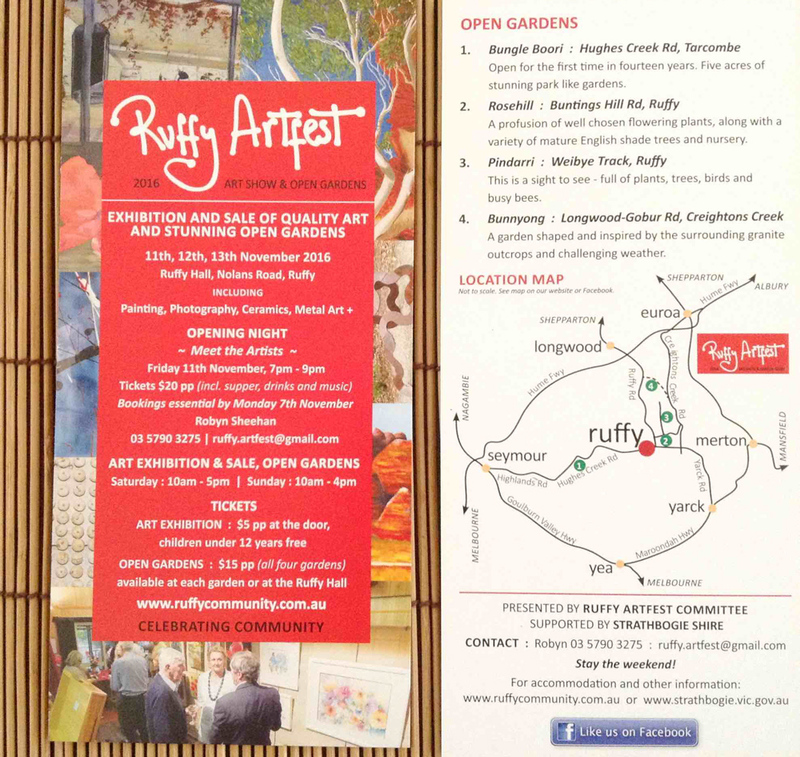 If you’re venturing up this way on the second weekend in November, please take a slightly longer drive to visit these magnificent gardens which are about one hour further north than Clonbinane … it will be seriously worth driving the extra kilometres. 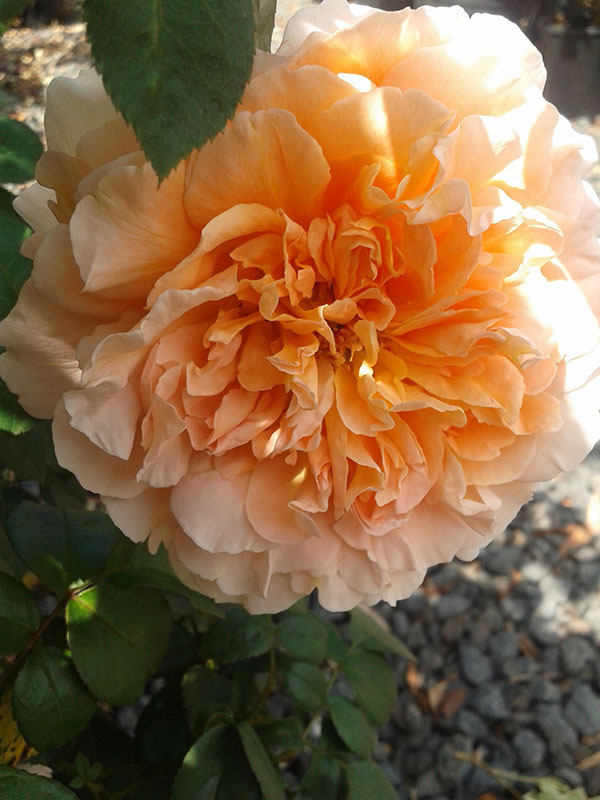 Hello dear rose friends as we all enjoy long-awaited moments of smelling the fragrance of our roses at the start of what will be an amazing rose season! 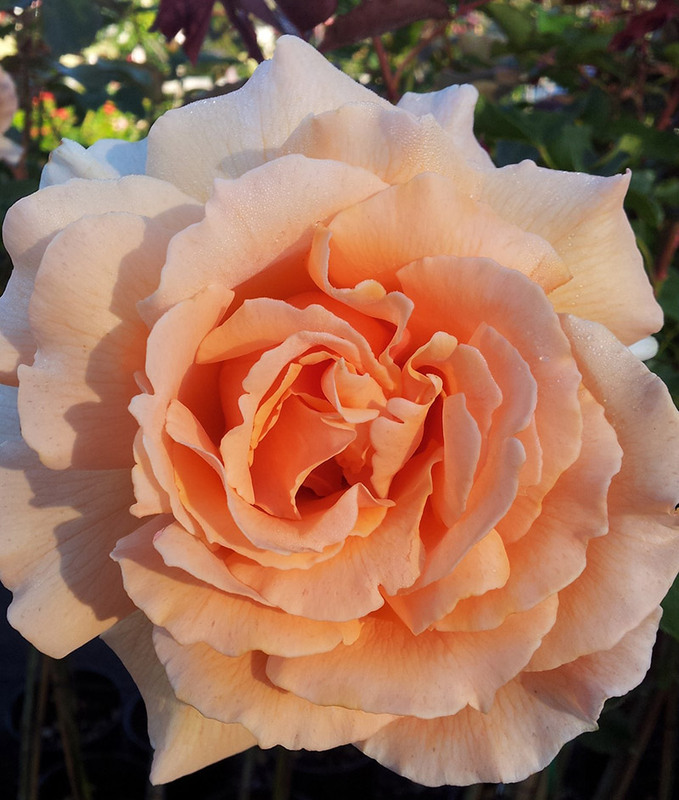 Yes, of course we are still posting roses – they’re a little more expensive now because they’ve been in pots for a while; we’ve sprayed, fed, watered, trimmed and given them lots of loving which guarantees they’ll travel well and be a pleasure in your garden! The GIFT ROSE is different because it is posted in a specifically designed, elegantly printed box which locks a gift-wrapped, potted rose (flowering now through to June, 2017) together with your personal message written in a gift card; including postage, this costs $73.90 – lovely Christmas gift idea! 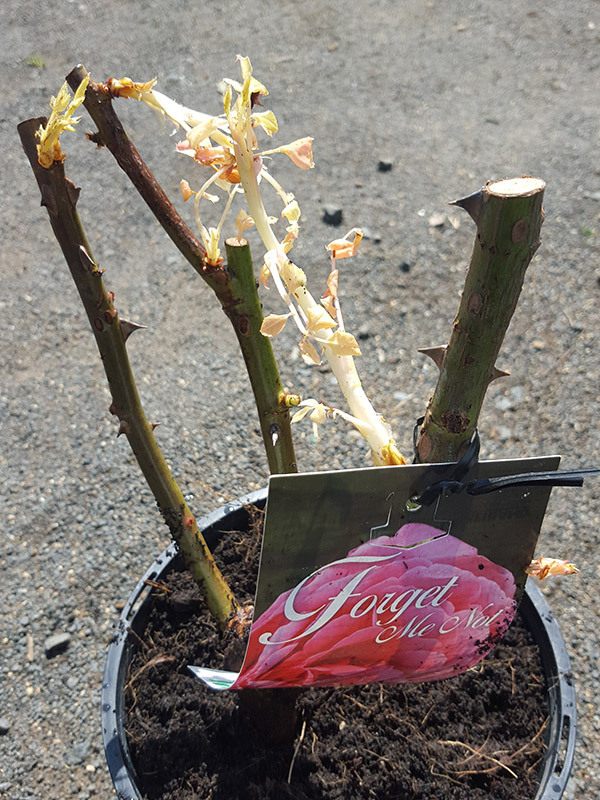 Has stunningly healthy foliage that clothes long, strong stems which produce unusually shaped blooms of cream with a dark pink/red edge – most unusual and interesting rose! It’s easy to overlook some of the ‘old’ varieties which we’ve sold for the past 30 years and assume every gardener knows this glorious rose! 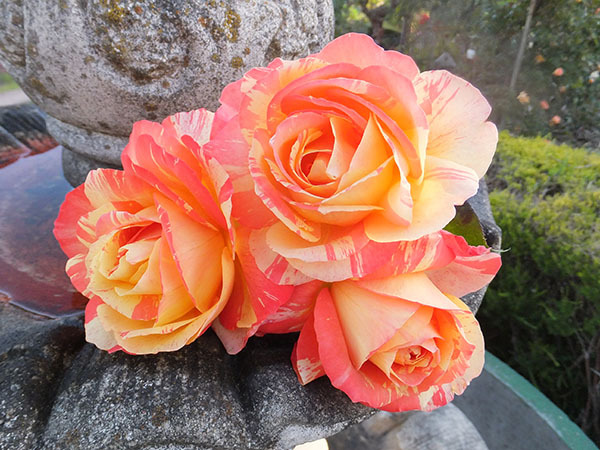 Deliciously fragrant, waved petals on huge flowers … highly recommended rose! Is definitely the Queen of our garden as she flounces against the spruce she respectfully shares space with and will produce abundant masses of blooms until late June next year! Awesome rose! These are roses where labels have blown away, faded or inadvertently been removed so we don’t know who they are … that is until they’re flowering! 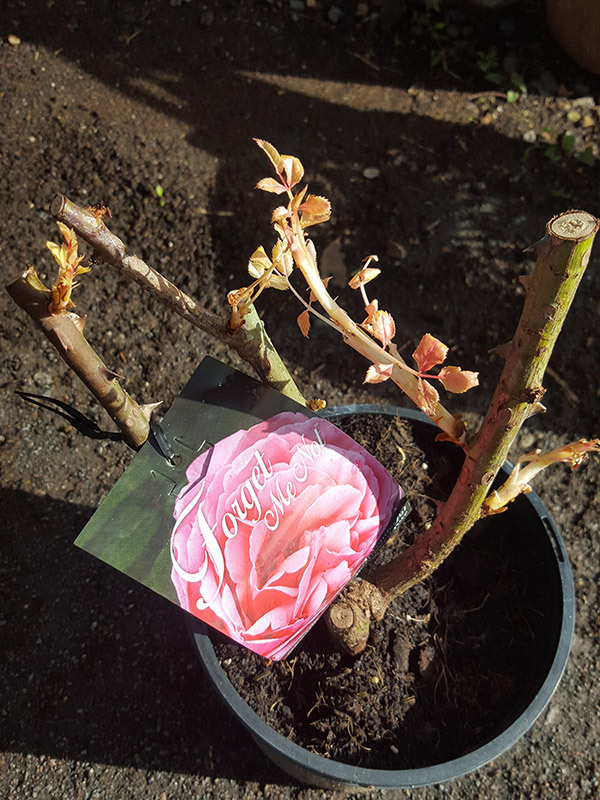 See if you can beat us to it … buy them, plant them in your garden and wait for a surprise … daily we go to this group of roses to see if we can retrieve a ‘stunner’, pop it’s label on and it will be sold at recommended retail price! Some days we forget to go there – you get in first and we’ll gladly identify the rose for you! POT LUCK ROSES – $16.50 each AND FUN! If you haven’t already done so, I suggest you get a good cover of mulch on the garden NOW if for no other reason than to offer protection for the worms which have been breeding since May and they are the army of workers who will aerate the soil, fertilize it with their castings whilst improving the overall structure and condition of your soil! Diana was distressed when her recently applied pea straw mulch started to grow. 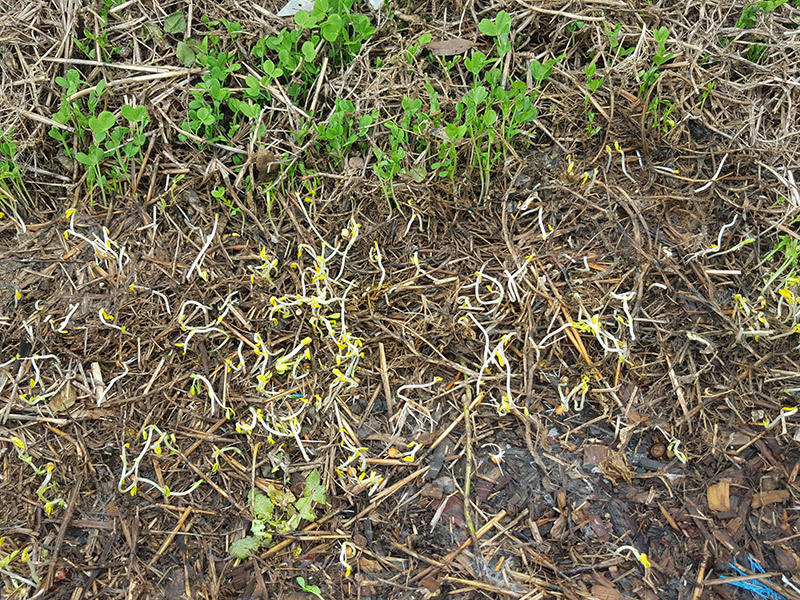 I, on the other hand, would like to see a good cover of ‘green manure’ and perhaps wait to see if/when the peas flower how decorative this might be before they simply dry up and cover the ground with another layer of pea straw! Q. What does MOTHER GIANT say to her children at the dinner table? A. Don’t talk with someone in your mouth! LAST BARE-ROOTED ROSES WILL BE POSTED ON MONDAY 17TH OCTOBER, 2016. Q. What comes down but never goes up? A. 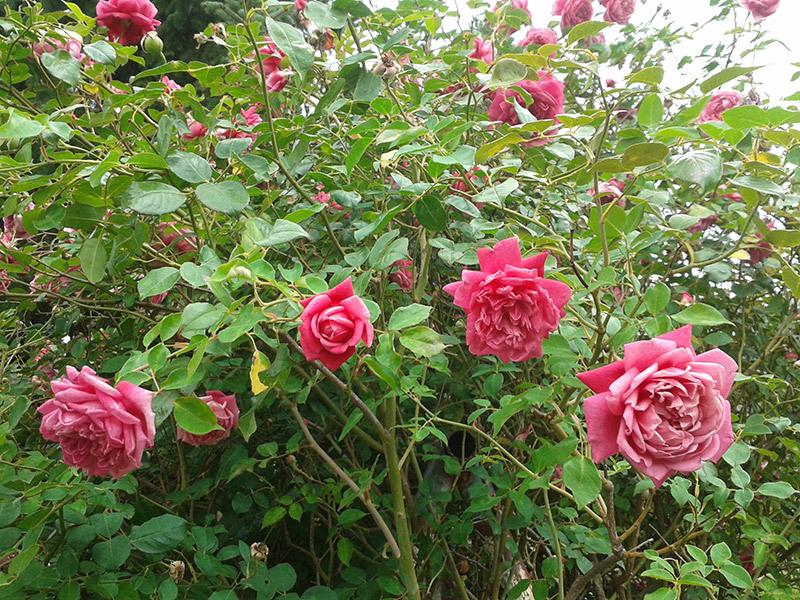 Rain … which is now easing but left us with a sodden garden which the roses are enjoying now they’re setting flowers ready for a bumper season for sure! 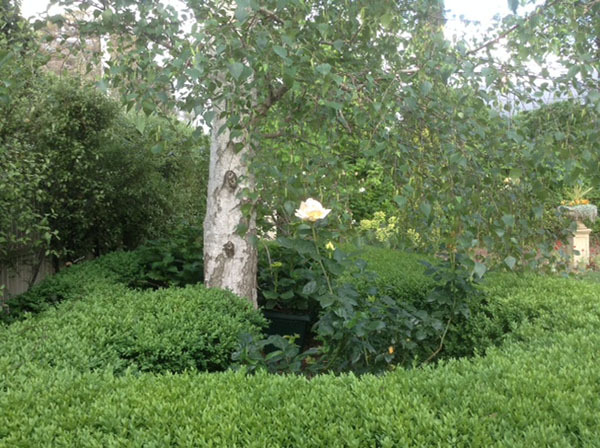 Monica’s roses in quite shaded location in large self-wateringa pots … magnificent! 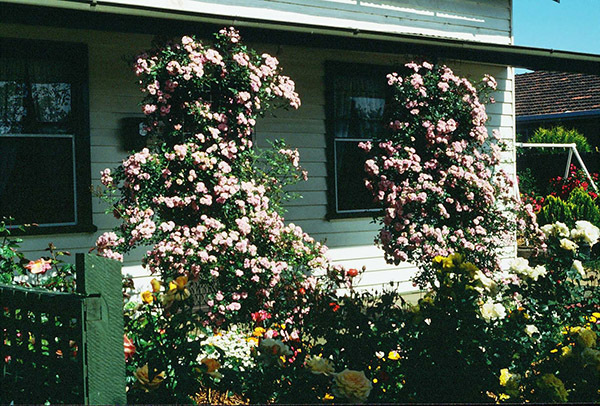 And this is a good idea too: Two standard JUST JOEY roses either side of the front porch in large tubs – one side gets full-sun all the time but the other side only gets morning sun so my clever customer gets hubby to load them onto a trolley and swap them around every couple of weeks! She’s been doing this since July; both roses are flourishing and growing evenly! 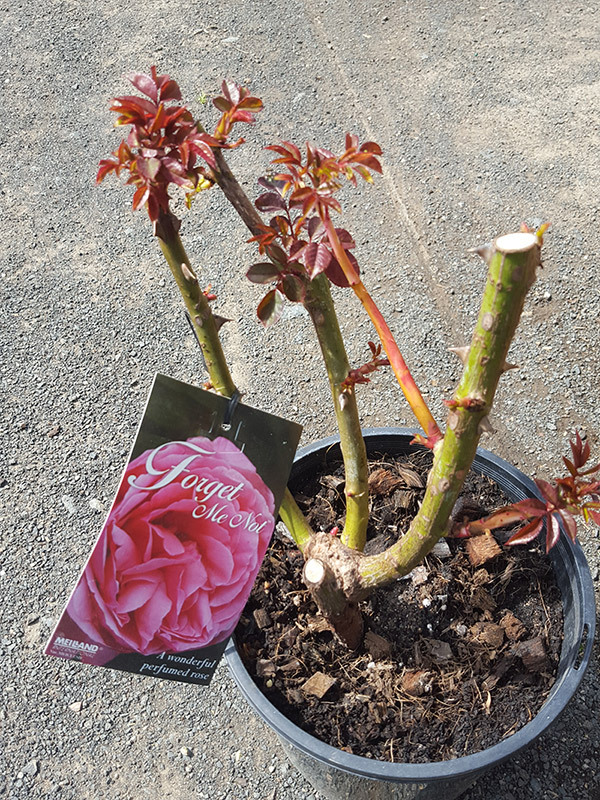 Normally, when a customer tells us that there is less than 5 hours of direct sun on the location where they’re planting a new rose, we won’t sell them a rose! Yes, a rose might ‘cope’ in that location but wouldn’t you rather it ‘flourish’ and be magnificent? Always trim overhanging tree branches or plant roses in the most open, sunny location of your garden! Fragrant blooms don’t exude their fragrance the whole day. It can happen that you smell no scent at eight in the morning, then by midday the fragrance of the same bloom is overpowering. After smelling less than three highly fragrant roses, you will lose your sense of smell – carry a tea-bag or some coffee beans in your pocket when visiting a rose garden this season – they’ll clear the olfactory glands and give you a far greater sense of smell as you sniff your way around the roses! Q. What has twenty eyes, four tongues and smells? A. Two pair of jogging shoes! Yuk! The photographs on our websites and in my book were mostly taken on my mobile phone camera. I photograph the blooms when they are at their most beautiful opening or fully open stage. Climate and seasonal conditions, overcast or sunny weather most certainly can influence aspects of photo reproduction, so it will happen that a rose looks slightly different when it flowers in your garden. I actually purchased your book for our Rose Society in Timaru but like it so much I have decided to add it too my collection.. Your Cultural information is excellent , Well Done. I look forward to hearing from you at some time amidst your busy rose growing season. Hello dear rose friends … welcome to October which is the month when we’ll start to see lots of roses blooming here at Clonbinane … oooh, so, so exciting! 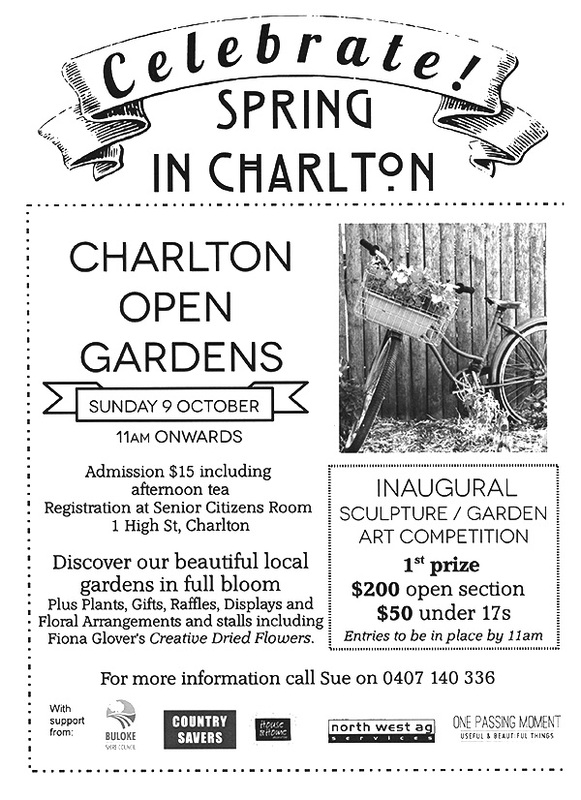 Because of their warmer climate, the gardens at CHARLTON will be in full flower for their open garden weekend … take a drive and support this magnificent community of country folk who have experienced hard times in recent years! WE LOVE CHARLTON AND KNOW YOU WILL TOO!!! We gardeners are being challenged by unprecedented, record-breaking rain – conditions which our plants are unfamiliar with so they’re lush and loaded with nutrients, possibly sitting in sodden soil too. Be wary and lift any newly planted roses into pots as they will be unable to produce new roots while sitting in sopping soil! If you are seeing new shoots and the roses seem happy, LEAVE THEM – only lift them if they appear to be stressed! It’s important not to go ‘overboard’ and create built-up garden beds during this unusually wet time – the rain will dissipate and you’ll soon have the hose watering your garden! The higher the garden bed, the more quickly the roots dry out thus more water will be required to sustain plants in a normal summer – these rainy conditions definitely won’t last forever! Frogs are enjoying the wet so, … Q. What kind of shoes do frogs wear? A. Open toad shoes – naturally! Might be evident on the roses but because of our organic / biodynamic garden management program, we have lots of beneficial insects and birds who are our army of helpers keeping insects in balanced numbers! 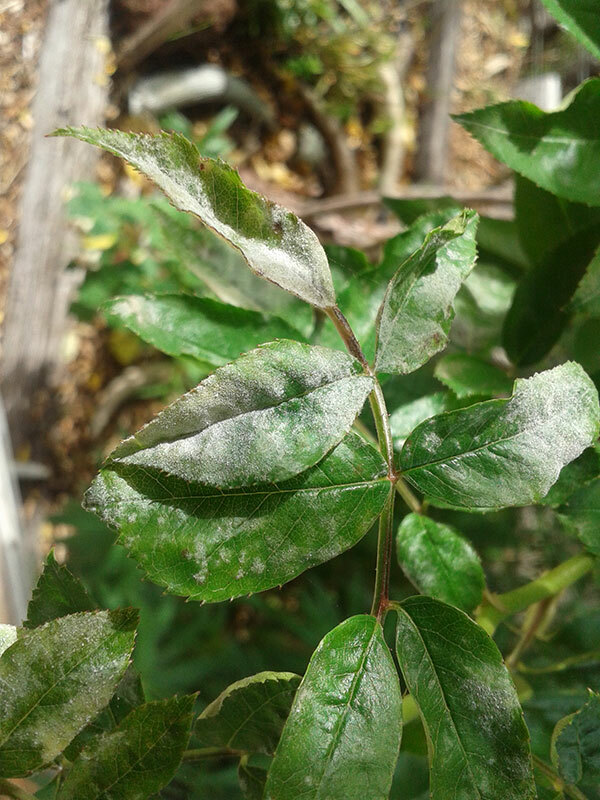 It is VITALLY IMPORTANT to the health of your garden that you see aphids, spiders, critters of all kinds because they are evidence of an environmentally healthy garden which is a food paradise for them all in turn! Q. What is the most faithful insect? A. A flea – once they find someone, they like to stick to them! 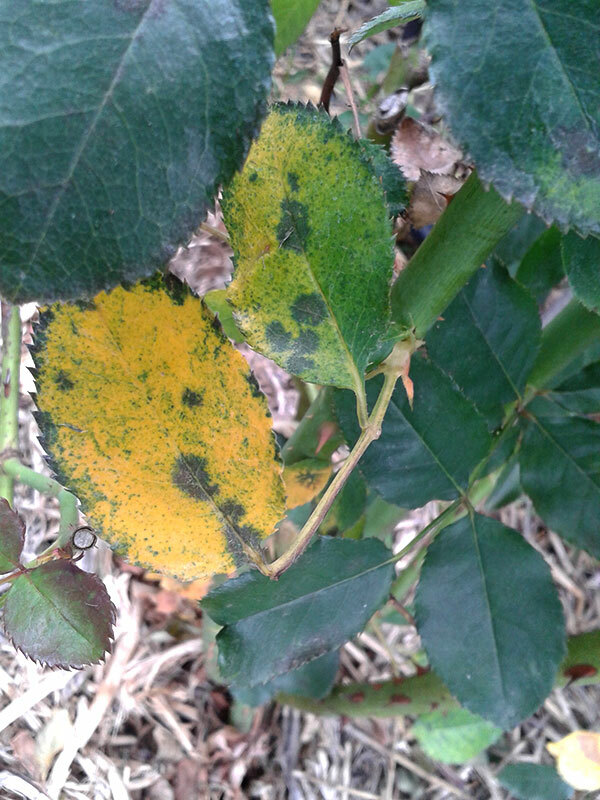 Weekly applications of the organic management spray program is keeping leaves reasonably healthy but the roses will love it when we get a few days of hot sun which is guaranteed to ‘burn off’ mildew spores – four hours over 27 degrees will do the trick! When you apply seaweed over the entire plant and soil at least monthly, the seaweed activates microbes in the manures making them readily available to the plants! 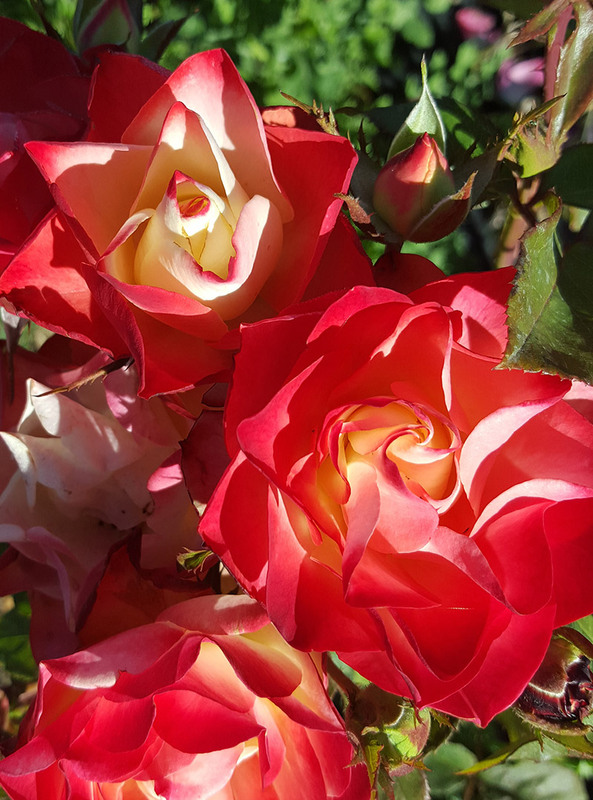 ROSES THAT ARE HEALTHY AND WELL FED – ESPECIALLY JUST BEFORE FLOWERING – ARE YOUR BEST GUARANTEE OF PEST AND DISEASE-FREE PLANTS! NOTE: If using horse manure add this to compost FIRST to reduce the possible impact of worming chemicals which have been used on the animals as it will definitely reduce worm numbers in your soil if applied fresh with active chemical in the manure! Poultry manures can be very acidic so are also best left in a heap mixed with old leaves and wilted weeds for 6-8 weeks prior to application to garden beds. 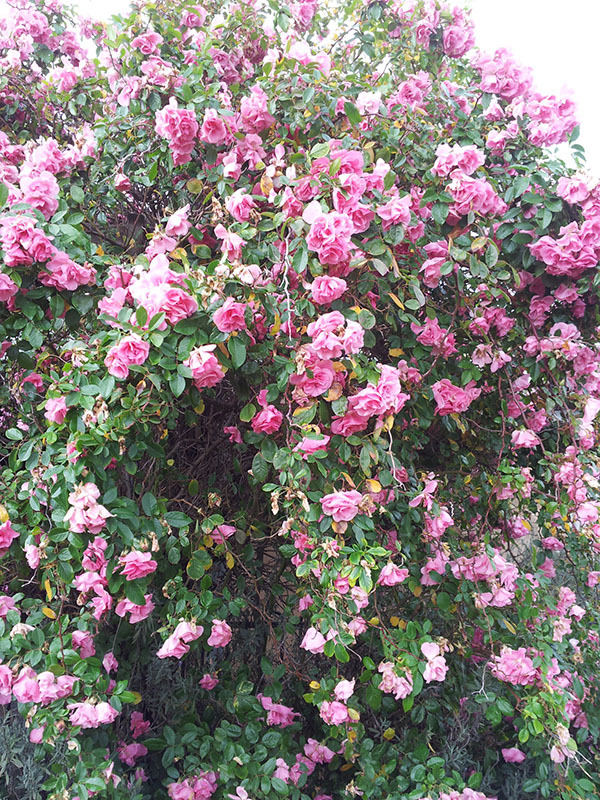 I urge you to put at least one of these magnificent plants next to a climbing rose in your garden – they are sensational together and will give you such enormous pleasure! 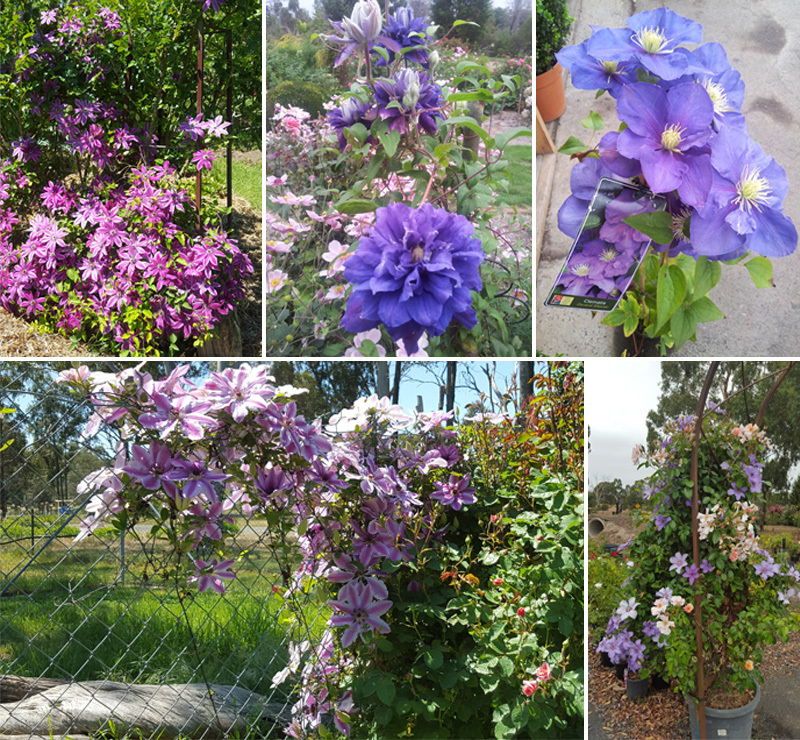 Hybrid Clematis flower at the same time as your roses – they’re tough, tough plants as long as they are deeply planted to keep their roots cool and they enjoy exactly the same cultural management as roses – we have a beautiful selection of varieties at the Rose Farm NOW! Please call me on 03 5787 1123 if you would like one posted – they are not available in the online store at www.rosesalesonline.com.au as I would prefer to speak with you! 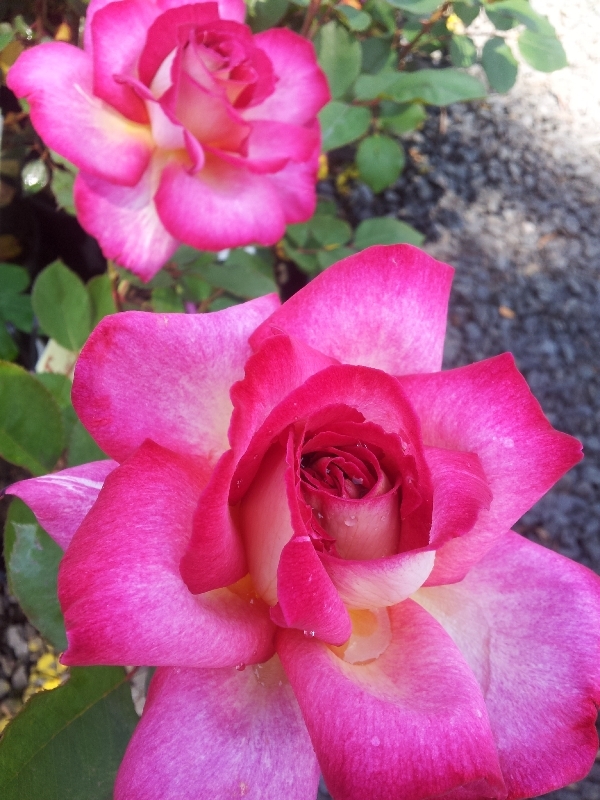 This has been the longest season due to extremely wet/cool conditions – take advantage and place your order during the next 10 days – the roses are well packaged, endure transit well and will flower beautifully in your garden this season … 100% guaranteed!